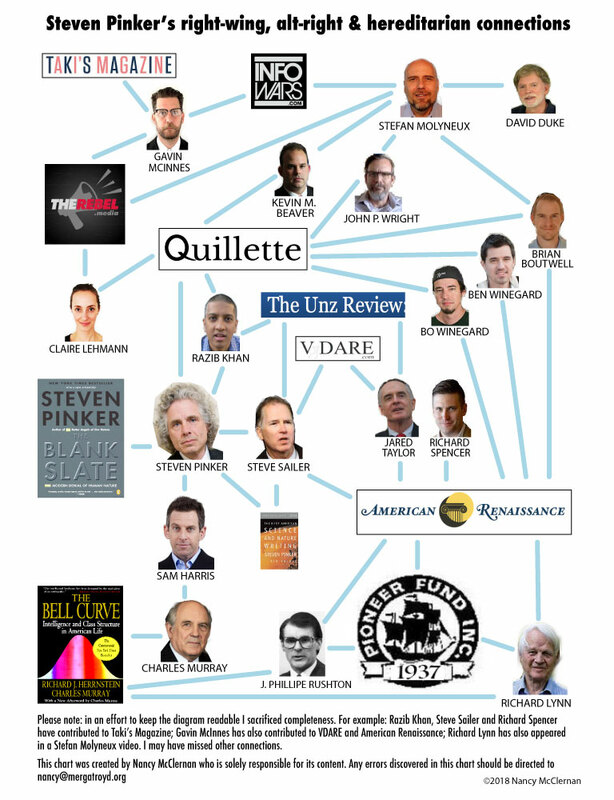 You can tell how effective the Southern Poverty Law Center is at opposing "race science" by how hostile members of the "Intellectual Dark Web" are towards it. 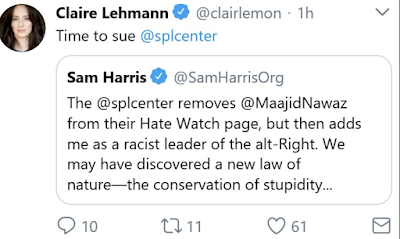 Here is Claire Lehmann urging Sam Harris to sue the SPLC for a straight-up piece of factual reportage. 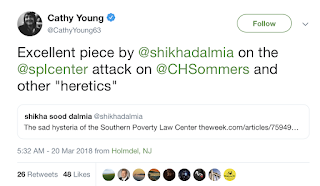 Sommers, an American Enterprise Institute (AEI) scholar, took to Twitter and claimed that the SPLC “denounced” her as an “enabler of male supremacy.” She told the Weekly Standard that the SPLC was “blacklisting in place of engaging with arguments. They blacklist you, rather than try to refute you.” An email to Sommers’ assistant asking for clarification went unanswered. 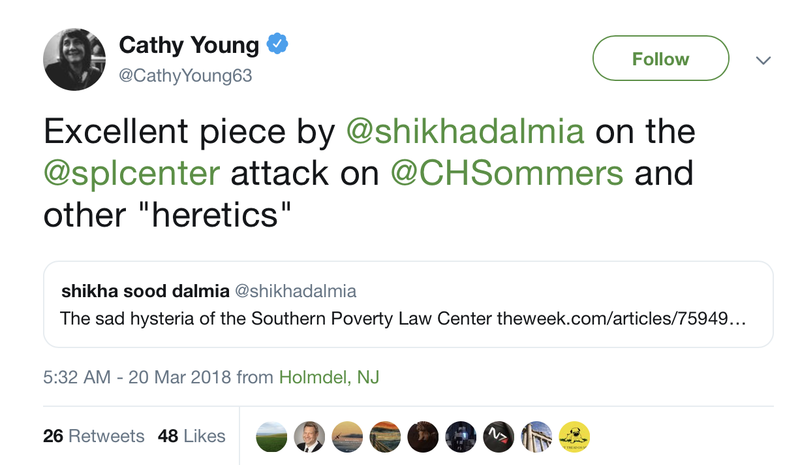 And if Christina Hoff Sommers believes a thing you know her Reason Magazine and Gamergate comrade, the toxic Cathy Young, won't be far behind. 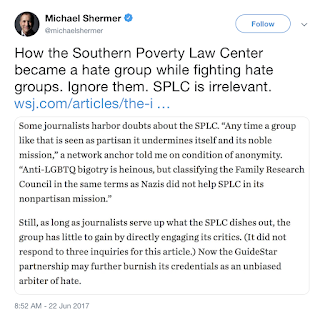 Michael Shermer, recently seen celebrating the crushing by Steven Pinker of the "cockroach" Phil Torres is naturally in with the Quillette gang in opposition to SPLC. 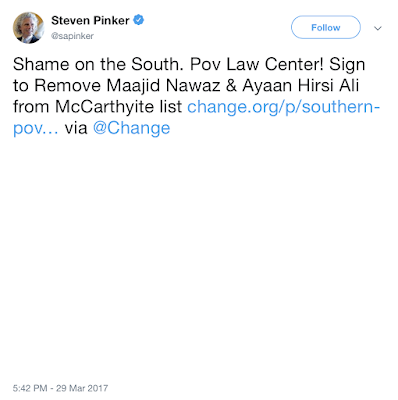 Maajid Nawaz managed to get a few million dollars out of the SPLC for expressing an opinion that Nawaz didn't agree with. Opinions are of course protected under the First Amendment, but Nawaz isn't American and the SPLC no doubt settled because no matter the ruling, had it gone to trial, it would have been more expensive than settling. I expect that this encouraged Gavin McInnes to try his luck suing SPLC. McInnes’s complaint against the SPLC – posted online by his lawyer G Baron Coleman – says that that McInnes was “successfully targeted for personal and professional destruction by a self-appointed enforcer of [political] orthodoxy”. Later, the complaint alleges that the SPLC is responsible for “the termination of Mr. McInnes’s employment, an almost complete deplatforming and defunding and subjecting him to employment discrimination based on his lawful non-employment recreational activities”. 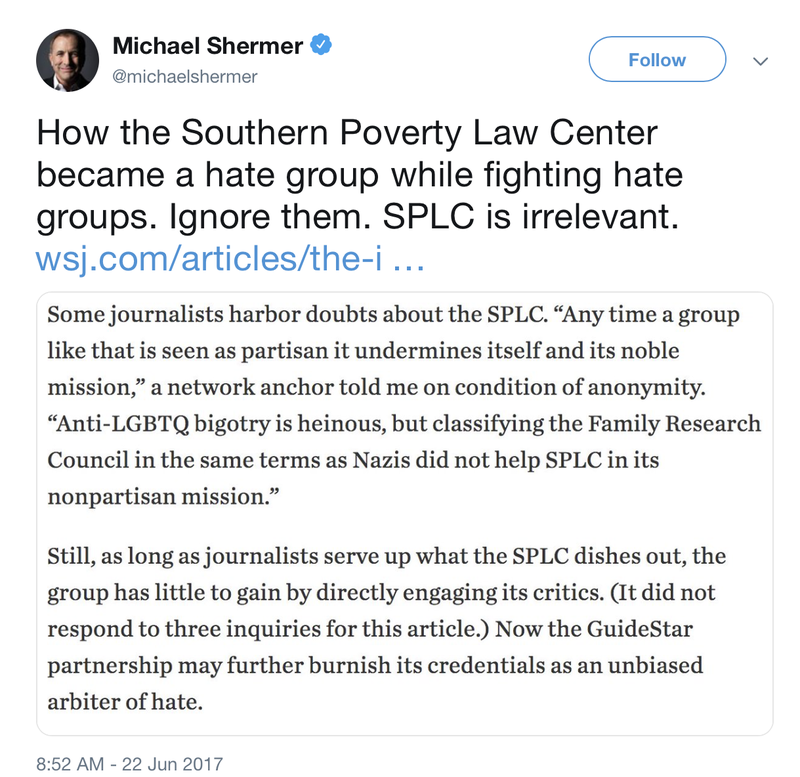 It’s not the first time McInnes has criticized the SPLC. Last June, he told the Guardian at a New York City rally supporting Tommy Robinson, the far-right founder of the English Defence League, that the SPLC was a “pernicious group that preys on old Jewish people … (with) cultural PTSD because of what happened in world war II”. Does McInnes plan to sue the FBI too? 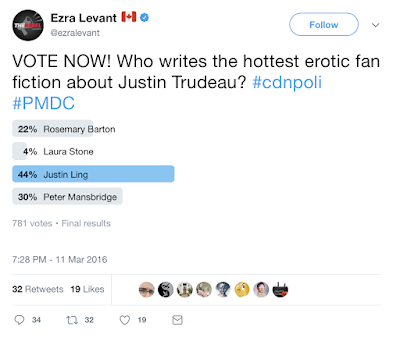 McInnes was predictably welcomed back in to the far-right Canadian fold - rejoining Rebel Media, founded by scary Trudeau obsessive Ezra Levant. I wonder if Claire Lehmann will be reuniting with Rebel Media. Here she is doing an episode with McInnes back when she was a Rebel Media regular. The Intellectual Dark Web is nothing if not extremely tight-knit. 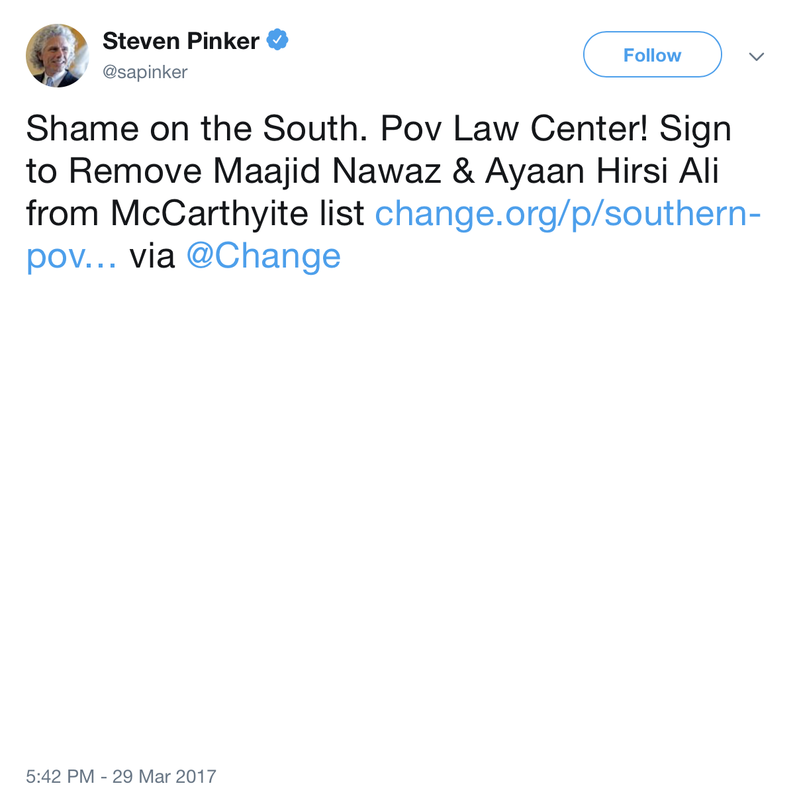 And I've no doubt other members of their little group will be tangling with SPLC in the future. And that's why it's so important to donate to the Southern Poverty Law Center. I send them money every month.